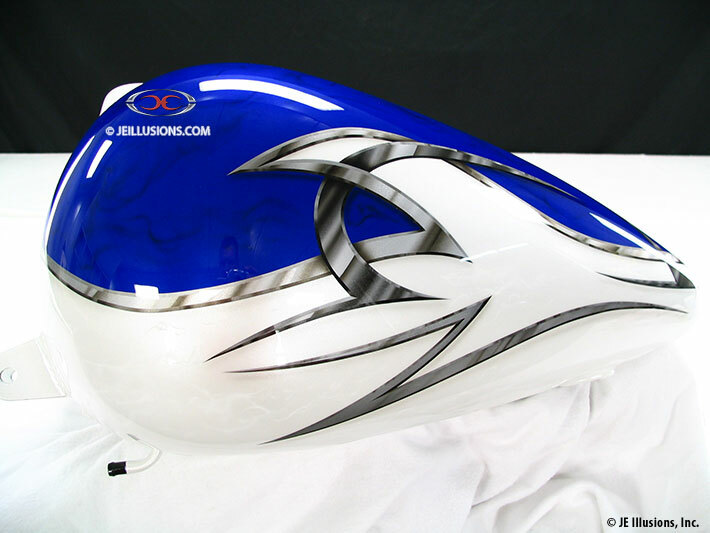 Forged steel tribal design with beveled edges borders the Candy Cobalt Blue over a Bright Pearl White base. 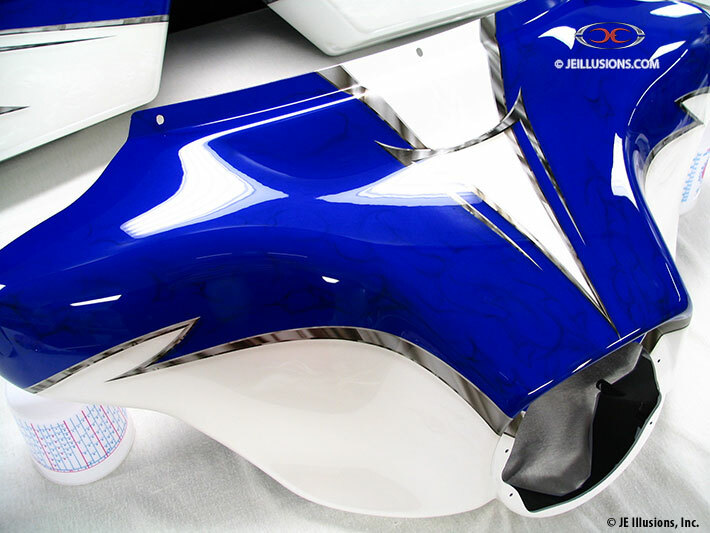 Added airbrushed smoke effects in the Blue along with a very high gloss creates a "wet" effect and compliments the colors even more. A second set shows how much varying the color and adding a few retro logos can change a look. Featuring the same bladework and layout but an Aztec orange bottom half and some old school Harley logos, the second set has a far different look and feel than the original.